Flat 1000 off.Flat 1000 off. 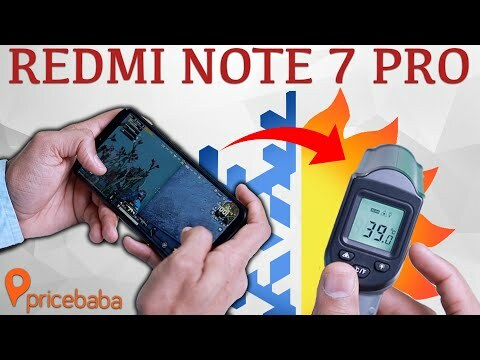 If you own Xiaomi Redmi Note 7 Pro 128GB, please do leave your feedback too. Lowest price of Xiaomi Redmi Note 7 Pro 128GB price in India starts at Rs. 16,999 Xiaomi Redmi Note 7 Pro 128GB is available on Flipkart at Rs. 16,999. Prices updated on 24th April 2019. The Xiaomi Redmi Note 7 Pro 128GB is a mid-budget Smartphone that comes with excellent configuration and stunning design. Its sleek design and compact nature make it handy. It provides a good battery backup and an ample amount of storage capacity. As for the optics, both the cameras are amazing for clicking pictures. It also features a fingerprint scanner, which unlocks the device faster and in a convenient way. The smartphone is equipped with an octa-core processor, which is mounted on Qualcomm Snapdragon 675 chipset and runs at a clock speed of 2GHz. It is paired with 6GB RAM, which efficiently handles all your undertakings. Adreno 612 GPU takes care of the graphics part, which offers a good gaming environment. Xiaomi Redmi Note 7 Pro 128GB offers a 48MP cameras at the back along with a secondary camera of 5MP, which captures better portrait pictures and amazing clear images. The primary camera can record 4K videos (2160p). For clicking brightest selfie shots there is a 13MP front-facing lens. This Note series smartphone offers 4,000mAh battery capacity with the support of fast charging facility via a USB Type C.
The smartphone comes with a 6.3-inch Bezel-less LCD screen along with a waterdrop notch, which is protected by a Corning Gorilla Glass 5. It also offers 2340 x 1080 pixels full HD+ display with a pixel density of 409 PPI, which add sharpness to its contents. As for the storage, the device houses internal storage of 128GB provided with an option to expand memory capacity up to 256GB via an external micro SD card. In terms of connectivity, it gets a NANO SIM and supports 4G LTE (India Compatible), VoLTE (Works with Jio), WiFi, 2G, Bluetooth, 3G, Wi-Fi, and Mobile Hotspot. The device is also available in space black, neptune blue, and neptune red.